SUNDAY JUNE 19th at 9.A.M. Carpooling is highly recommended as parking at the Piedra Blanca Trailhead is limited. Leaving from Nordhoff High School in Ojai you will head North on Hwy 33 for 15 miles. Next you turn right onto Rose Valley Road. You will take Rose Valley road all the way to the Piedra Blanca parking lot. Once there follow the trail to Piedra Blanca. Allow ½ hour to hike the 1 mile trail to the event. 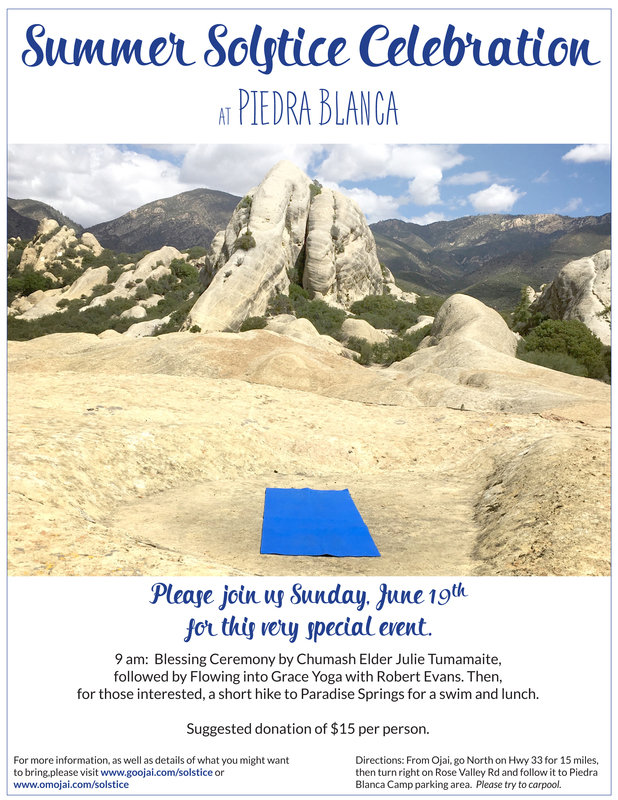 The Chumash Blessing Ceremony with Julie Tumamite will begin around 9 AM followed by Flowing into Grace Yoga with Robert Evans. Next for those interested we are offering a guided hike along the Sespe River Trail to Paradise Springs for a swim and lunch. All ages welcome. 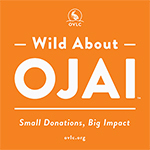 A portion of your donations will go to the Barbareno/ Ventureno Band of Mission Indians a Chumash nonprofit organization and also to the Ojai Valley Land Conservancy. We do have extra yoga mats so if you don’t have one you will need to contact us in advance so we can bring you one. Water, at least 2 liters per person. Hat / Sunscreen / Bug repellent. Please note: this time of year the rocks and sand really heat up and can burn dog’s feet so please be mindful of this.